10% Bonus on $50 - $99. Range machines accept exact change in cash, $1 and $5 bills. In addition, the Randolph golf complex and El Rio accepts Visa, MasterCard, and pre-loaded Range Passes, sold in the golf shop. Randolph Golf Complex: Sunrise - 9:00 PM (Last Basket Sold 8:20 PM) & Wednesday: Sunrise - 7:00 PM (Last Basket Sold 6:20 PM). Silverbell Golf Course: Sunrise - 8:00 PM (Last Basket Sold 7:20 PM). Fred Enke Golf Course: 6:00 AM - 8:00 PM (Last Basket Sold 7:30 PM) & Wednesday: 6:00 AM - 6:00 PM (Last Basket Sold 5:30 PM). 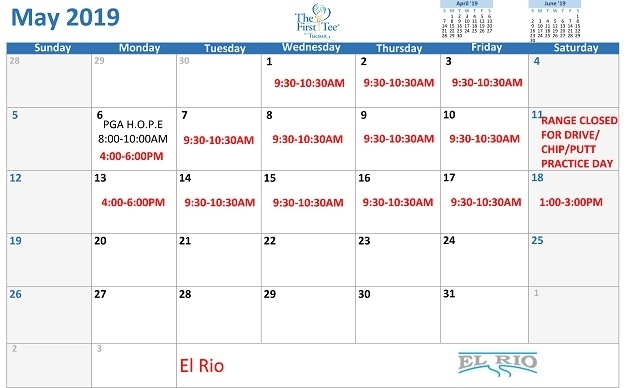 El Rio Golf Course: Open Every Day Prior to 9 am, other times vary when not in use by The First Tee. See below for more information. 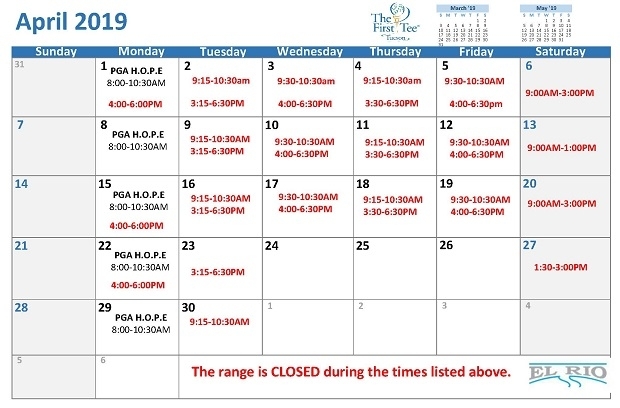 If you need a couple clubs for the range you can borrow them from the golf shop during regular business hours. After hours, clubs may be available from the range attendant. Full sets are available for rent from the golf shops during regular business hours, normal fees will apply. Bring a credit card for collateral. More information. The Randolph Golf Complex, Silverbell, and Fred Enke have putting greens, sand traps, and chipping/pitching practice areas available for use, free of charge, during business hours.